LeEco Le S3 is a smartphone that somehow belies its budget status in terms of looks and certain specs. It parades impressive design, huge Full HD display, octa-core Qualcomm processor and fingerprint scanner. Flaunting a metal unibody design, the LeEco Le S3 brings some more expensive phones to mind with its looks. LeEco is not really that kind of company to disappoint with appearance of its devices, but the LeEco Le S3 could use less sharp angles and a brushed finish. You will find a large 5.5-inch IPS display on the front. With a resolution of 1,080 x 1,920 pixels, it is safe to expect impressive wide viewing angles. On top of the display is robust Corning Gorilla Glass 3. A look at the camera department reveals a 13MP shooter on the rear of the device. It boasts dual-LED, dual tone flash and phase detection autofocus. The LeEco Le S3 can shoot videos of up to 4K resolution at 30 frames per second. There is an 8MP front facing camera to cater to your selfie needs. The phone offers 32 GB of storage space for keeping your photos and files. Sadly, it appears that’s all you get for storage – no expansion. For the money, you can expect impressive performance from this phone. Its Chinese maker equips it with an octa-core Qualcomm Snapdragon 652 processor offering top speed of 1.8 GHz. So, you can expect the LeEco Le S3 to perform better than many rivals in the same price range. LeEco Le S3 ships with Android 6.0 Marshmallow operating system. This is not as bad as you might think when you consider when the phone was released. This has eUI skin on top. The LeEco Le S3 has a fingerprint scanner on the rear for fast unlocking. Its juicer has a capacity of 3,000 mAh and enjoys Quick Charge 3.0 fast charge technology support. It may impress you to know that it boasts USB Type-C reversible connector and dual band Wi-Fi 802.11 a/b/g/n/ac. You get to enjoy Dolby Atmos audio enhancement on the device. LeEco Le S3 is available in Nigeria, Ghana, and Kenya. The price starts at $127.99 at Banggood. You can buy the smartphone at leading online stores in your country. 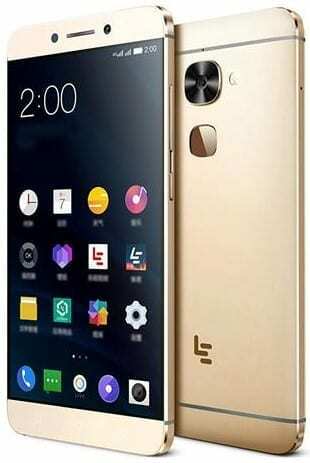 LeEco Le S3 Price in Nigeria ranges from 42,500 Naira to 95,000 Naira.